The force is strong with these banks! 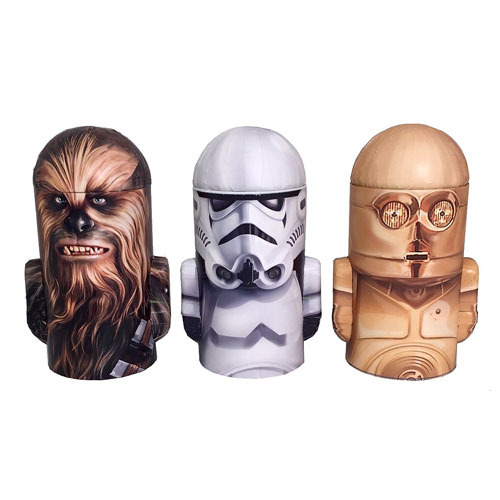 The Star Wars Dome Figural Tin Bank Set includes 3 banks that look like some of your favorite Star Wars characters! Each bank measures approximately 7 1/4-inches tall.